Holly Beville is a woman in-the-know whose friendly smile will make you feel like an old friend during your home sale or search. A resident of Old Town, Holly takes pride in being the local real estate and lifestyle expert. Whether working with sellers aiming to maximize net proceeds, first-time homebuyers looking for metro access, new parents searching for a home walkable to their child’s daycare, retirees downsizing their home, or investors searching for a Del Ray fixer-upper, Holly uses her deep local connections and expert negotiation skills to find clients the perfect home purchase or sale at a perfect price. In this fast-paced world, staying current is key. Clients working with Holly not only benefit from her extensive knowledge of the community, but also her constant thirst for staying ahead of community news, restaurant/retail plans, school redistricting and residential/commercial development plans on the horizon…all knowledge which regularly translates into dollars and cents for her clients. Whether you are looking to sell for top dollar, buy a home that supports your lifestyle or are simply in need of the best coffeehouse, cocktail or tailor in the area, Holly has you covered. 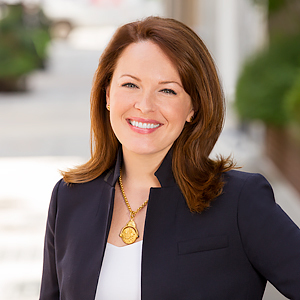 Holly’s career in real estate began after nearly a decade of executive-level marketing, communications, and business development experience founded on an MBA and BS from Florida State University. Her marketing background especially serves her sellers, often securing offers within days after conducting multi-step, professional-level PR campaigns to market client listings. Her business background and up-to-the-minute local knowledge drives her ability to successfully connect clients with their dream home. Holly believes that giving back is the best way to fortify Alexandria’s community. She contributes regularly by volunteering and serving on multiple philanthropic committees. Holly has also served on the Board of Together We Bake and as a Commissioner on the Alexandria City Commission for Women.